If irrefutable proof was ever required that genius is not a guarantee of delivering a hilarious sitcom then Pygmalion Smith is a damning piece of evidence. And Pygmalion Smith is blessed with genius on two fronts: Roy Clarke on writing duties and Leonard Rossiter in front of the camera. Whilst Pygmalion Smith certainly isn’t bad enough to leave you weeping at the waste of talent, it won’t leave you laughing either. Netflix is a wonderful marvel of modern entertainment which provides hundreds of thousands of hours worth of visual delights with just a few swipes of a screen. Apparently. I've only used it a few times, so can't really comment on the stranglehold it has over our modern viewing habits. I do, however, absolutely love the rich history of British TV. I also adore the nostalgic thrill of wading through old VHS tapes to discover the home recordings which may be lurking within. So, why don't I try to combine these two passions? Well, I already do and my Archive Tape Digging articles are testament to this hobby obsession. However, what I'd really love to do is create something which is a little more communal, so that's why I've dreamt up the Video Tape Swap Club. And, no, it's nothing like Blockbusters. Or even LoveFilm. 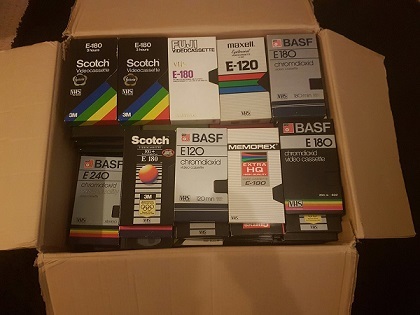 Instead, the Video Tape Swap Club will provide a curiously analog alternative to Netflix with all the mystery and excitement of a lucky dip down on the village green. 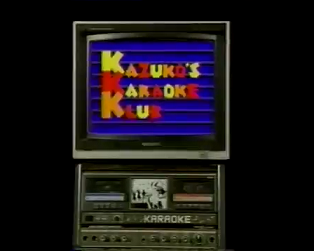 When you watch Kazuko's Karaoke Klub you have to wonder exactly what Channel 4 executives were smoking in the late 1980s. Sure, the channel was a much needed beacon for the alternative and the strange and, in a trashy way, this continues with shows such as Naked Attraction. 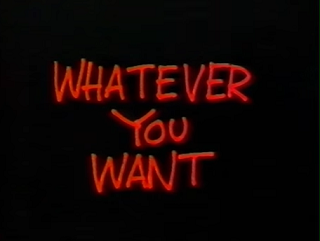 However, whereas Naked Attraction, serves up some mild titillation (no, I'm not going to apologise for the pun) that taps into our base instincts, Kazuko's Karaoke Klub is very much the kind of television that leaves you as bewildered as an aging aunt confronted with a new TV remote. Whatever You Want is thrilling, agitated, rock and roll, hilarious and out to prove a point. 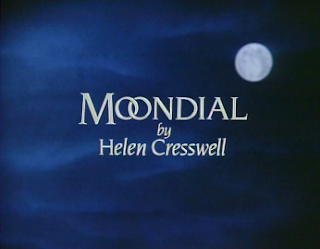 It's the kind of television that the British youth had been waiting for in 1982, a soapbox for them to investigate and discuss the issues affecting a Britain gripped by unemployment figures tipping over the three million mark. With an acerbic brand of journalism forming the show's background, it's presented by the unpredictable, forthright stylings of Keith Allen. Whatever You Want is also a disjointed melange of viewpoints, moods and styles.